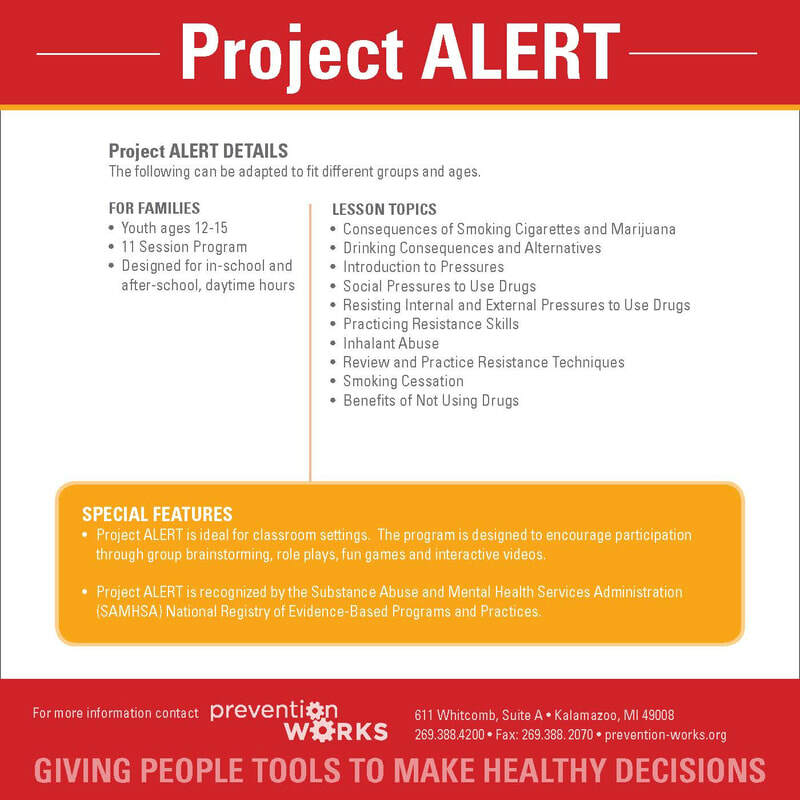 Project ALERT is a nationally recognized, evidence-based substance abuse prevention program for youth. It provides youth with the insight, understanding and skills necessary for resisting substance use, including use of alcohol, tobacco, marijuana, and inhalants. 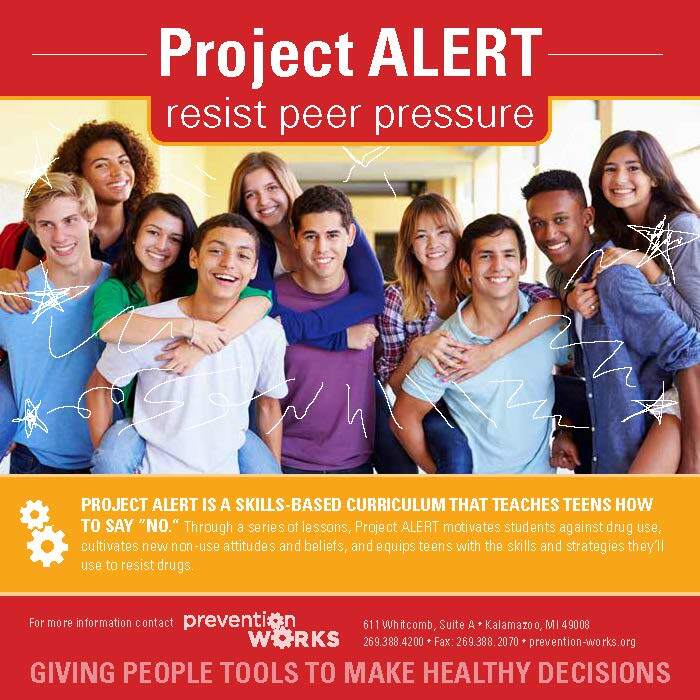 Project ALERT uses a variety of strategies to engage youth in the learning process, including: small group activities, real life videos, guided classroom discussions, and hands on activities. Prevention Works maintains program fidelity; for maximum results and positive outcomes, we must complete the program in its entirety.